When I went for a walk outside this morning, I saw the biggest bumblebee I’d ever seen before. 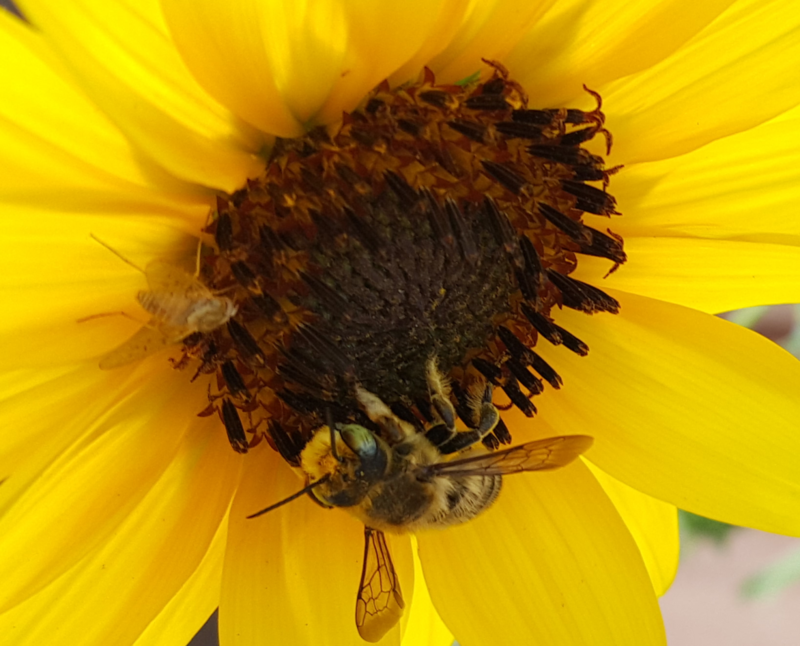 It flew through the patch of sunflowers growing near the house, and dragged down each flower it visited. 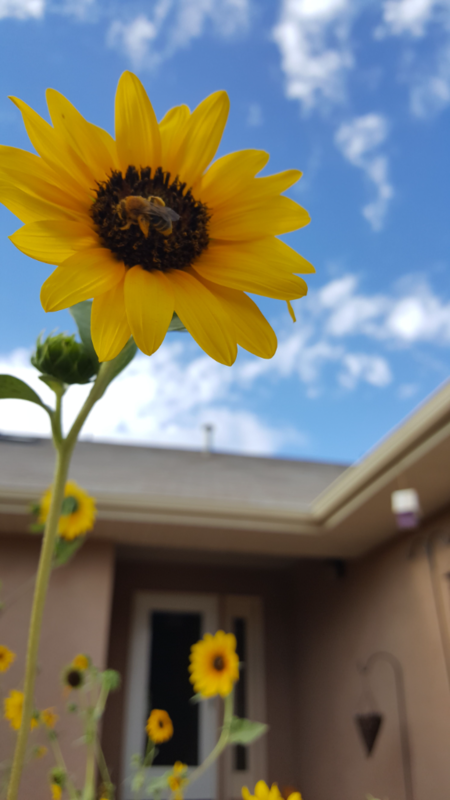 I didn’t get a pic of that bee (it moved on before I grabbed my camera), but I did stop and take several other pictures.